As some of you may know Sebastian recently implemented the "Kleinwachen" (Small Station) concept for the German version of the game. I approached his team ob fb about a possibility to impliment this for missionchief as well, as I thought most of the Stations in the US aren´t that big anyway, maybe it could come in handy and safe us a little money. He did however said he´ll only implement it when he is suggested to by the missionchief board admins. A station with a max. of 6 vehicle slots for half the price-what do ya´ll think of that ? I think that a small station in the US would be most applicable to small volunteer departments and have 1 or 2, maybe 3 bays. Most of my existing stations have less than 6 vehicles and I think that a lot of people playing realistically would be the same. Anyone else have any thoughts? Find a station in the UK with 6 operational bays with appliances, and I will be very shocked! Rather a lot of stations in the UK just have 1 pump, while stations with 3/4 Appliances are considered to be rather major! Although this feature could be used, new players may get too confused with two different types of stations. It could be a rather interesting feature this, maybe from a Gameplay perspective, a small station could be one that can only be activated for one hour per day and have your limited slots. It's not perfect, and there are probably plenty of other ideas that could go along with this better. Ipswich east i believe has 6 operational bays. 3 pumps, 1 ALP, 1 OSU and 1 MDU. But this is definitely an interesting idea. Recently there have been more and more posts about station pricing etc so maybe this is something to be considered in the future. I like this idea. A quarter of my stations have 2 or 3 bays and I'd save more doing tgis method for less coins. And those that I have with 3 bays that can be expanded I would move so honestly this would be very beneficial for lots of players. I just recently moved 3 stations around for smaller substations that have 2 or 3 bays each that could be used for a bigger township so again this would be great! And the majority of my substations and small fite companies only have 3 or 4 manned trucks so a smaller personnel limit would fit too. Stations 162 and 163 are both former substation that were shut down and consolidated with primary station 161. Station 676 is a recently new substation for Joint Base McGuire-Dix-Lakehurst for their range area which I still need to work on adding two brush units for it. I have plenty more substations but these ones are the most recent ones I've been working on. I try to be realistic with my substations but I hate the thought of shutting them down so I still use them anyway for strategic purposes. Some were shut down because of having 3 or 4 so close within a certain radius but I use them anyway. Sorry got off track. Figured I would share. The post was edited 1 time, last by rescuenut93 ( Feb 2nd 2019, 9:52pm ). Station Pricing needs to be the first thing to be worked on. It's stupid. I would absolutely favor this. Only the volunteer stations in my area have more than 6 units and thats few and far between otherwise. Most stations have 2-3 trucks per stations, 5 at the very most in more populated, subrban areas as there are more stations. And it would cut costs as well so that definitely helps instead of us having to grind to 2 million points just to build another station with one or two apparatus. That's really embarrassing that you have pointed that out, as that is my local station, and have had a tour of it, but completely forgot about the number they had! (It makes up for the fact 75% of SFRS stations are one pump, and I believe one of the pumps at Ipswich East is now on driver training) There can't be many fire stations in the country with that many operational in daily use though! 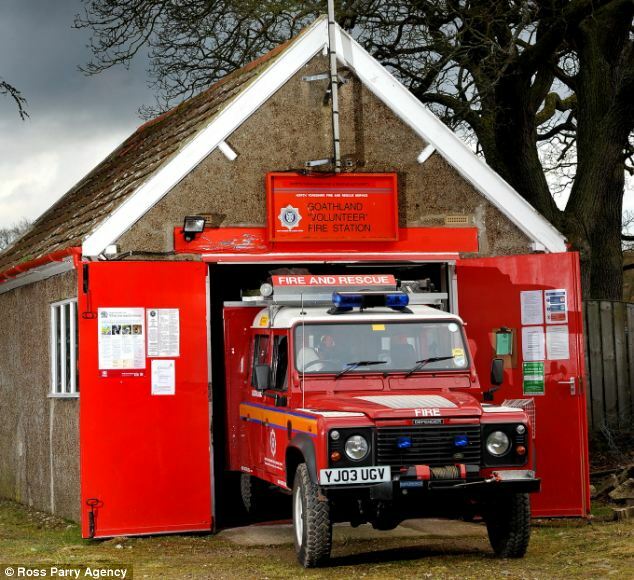 I'm unaware of the American system in this respect, but certainly we have quite a large prevalence of 'community' fire stations in the UK, it would be interesting to allow these to follow the rules similar to what was presented. I'm not going to argue with the Gameplay mechanics for it at this stage as it sounds quite reasonable on the face of it. The whole station pricing thing has been brought up time and time again, it's fixed in it's current system, whether we like it or not. While it's nice to imagine we could change everything, the pricing is one thing that just isn't going to happen. This is one of those better suggestions that works well with the current system, while bringing something new along. There is just one station which would have more than 6 slots required in my area - that being the main city station, which covers the CBD and surrounding area. It has over a dozen appliances, ranging from your typical pumpers and ladder platforms, to a command bus, dedicated rescue, and a hazmat unit. Besides that, the remaining metropolitan stations all have either 1 or 2 fire trucks (all paid, full-time). And then there is volunteer and retained stations - all having usually around 2 or 3 appliances (depending on the area, population and terrain). I am in favour of this idea, particularly because most of the Fire Stations in NSW Australia only have 2 engine bays, I have a lot of old stations to implement which most only have 1 engine bay and it can be a little frustrating to see how much the price increases for each station even though I am only using it to house one or two appliances. I agree with vehicle pricing, I wouldn't want to pay any more than 1 million for a Fire Station, especially one that only houses 1 or 2 appliances. I understand the game is about patience and I really appreciate watching my stations and vehicles grow, it gets to a point where the price needs to stop increasing. It costs 1 million for a helicopter station, so why should it cost more for a single bay firehouse? I like the idea, but rather than 6 slots maximum, I think it should be lowered to 3 max as it seems not many countries around the world have many stations, so people might abuse the small stations when 6 vehicles is a pretty large station. Furthermore, instead of paying a high initial price for a station (after 25 buildings), why not make it a higher price for every level you unlock instead? Certainly helps out folks with a lot of single or 2 engine bay stations. Adding on to the thought of volunteer brigades, I have way more volunteer brigades than "regular" fire stations, as well as more retained fire stations than permanent/on-duty fire stations. I really favour this idea as majority of my stations only have a couple units and as generic dispatcher said, we have many more volunteer stations as opposed to paid. The volunteer stations have only 1-3 units (majority with two units) but, what would make it fair, is if for units with 1/2 units, I used smaller stations and say smaller stations only housed two units, I could make any larger stations into normal. So I have thought of an issue with this. In the German game most German stations are huge. When you look at a lot of European stations in general this is the case for example I spend a lot of time on Belgium and the stations there have way over 6 vehicles on average. The problem is as has been said here, in the UK it’s rare to have a large station, same in the US and in Australia. Because of this my concern is Sebastian May see it as people just avoiding paying the price for the full size station. Fair point, I suspect if you ask for a much smaller max of 2-3 vehicles then this would better replicate what we have in the UK, that doesn't cover what happens in the US though, which in this case is a little more important. I see your point with this setback but honestly as a player I don't think this would be a negative impact that much. Players would still pay for a full station especially if they wanted a station with 5 to 8 vehicles all with different ubit types or EMS capabilities. I'd still bring this up to Sebastian and see what he says. Definitely worth it. We won't know unless we try. We've got some pretty loyal players out there still who want big stations. And making several little ones to make up for it would just get in the way big time. In my opinion, this is what I think of when I hear “small station” in the US. This is what we think of as a small station in the UK! - The worlds smallest fire station!